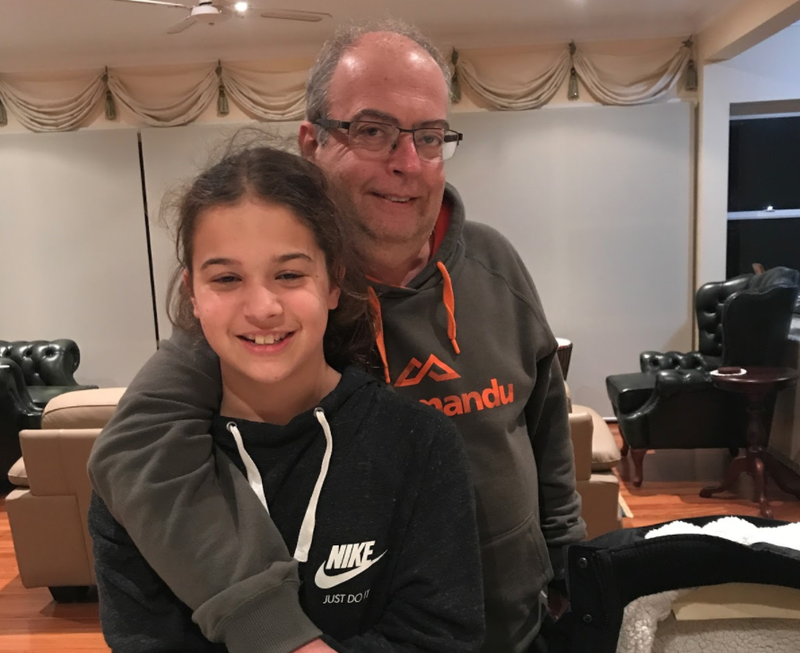 Oded and his daughter Aura (Year 6) have been working with Art of Smart to help Aura with Maths. We recently chatted to Oded who shared his experiences in working with Art of Smart and the impact it’s had for Aura! Prior to getting started with Art of Smart, what help was Aura needing? I found this very frustrating and I didn’t take that on face value – I’ve got a degree in Maths & Statistics, so I tried to help her, but it didn’t work. You can understand the concept but teaching it is something else. So I thought I’d try tutoring. I went first and checked out two places for tutoring. One was in Pennant Hills but they were very busy and I thought she would be lost in the crowd. We then went to another place in Castle Hill for a little while as well. This was in a group of 3. While the tutor was good at Castle Hill, the organisation was not flexible! We missed a session due to an emergency and they insisted we still pay. They were very rigid in their approach! We then started looking at other options and found Art of Smart online! I’m a single parent, and I’ve got an extremely busy job, so it’s a challenge to get Aura to a place for tutoring. When it takes me over 1 hour to get home after busy day and then travel time to pick up Aura it can be very difficult. So it’s fantastic that Art of Smart come to us at our home – it gives me time to have dinner with Aura and get her ready. Additionally, the attitude of the Art of Smart was fantastic. I chatted with Fiona who was fantastic and also highlighted the flexibility of Art of Smart. When we started with Art of Smart we had an initial tutor but Aura and the tutor didn’t gel. Our initial tutor was great, it was just they didn’t quite connect which can happen. What was fantastic is we could speak to Art of Smart, and Fiona identified that Joanna would be a better fit! What was the moment in working with Art of Smart that you knew you’d made the right decision? What has Aura’s tutor Joanna done to help Aura? What have the results been? Joanna is very calm and collected. I catch up with Joanna after each class and she lets me know what she’s doing and what they are working on. Joanna is well prepared for sessions and listens very carefully to what Aura is saying to understand and identify her needs. She then fine tunes the sessions to Aura’s needs. “In the space of a Term, Aura has gone from hating Maths to loving it! Her results have also improved! In a single term she’s moved up 1 level in Maths now as well! 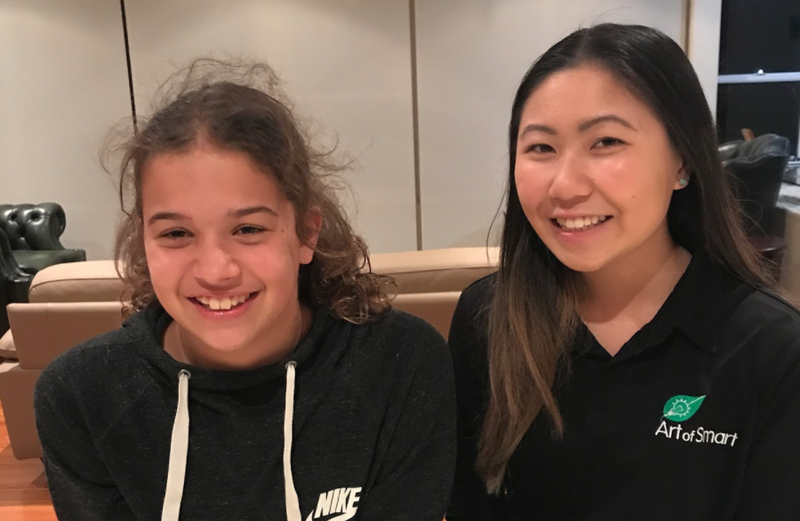 In fact, she’s now on top of Year 6 material, and Joanna and Aura have started Year 7 work to prepare her for the transition to high school. Along the way Joanna has also helped her with English and she’s advanced 1 level within a Term as well! The best thing would without a doubt be the transformation in Aura’s attitude towards Maths! We were also exploring whether to send Aura to a public or private school, and what working with Art of Smart has shown me is that we can supplement Aura’s needs and tailor to her needs through tutoring as opposed to sending her to a private school! We pride ourselves on our inspirational coaches and mentors – just like Joanna!